Home > News > Winter 2017 Taiko Beginner Class! 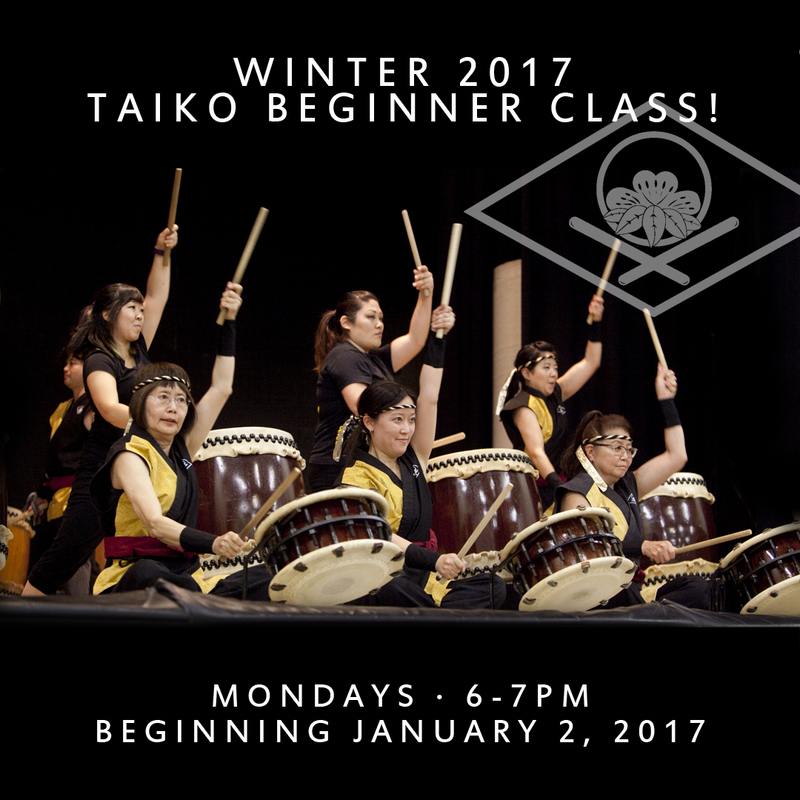 Winter 2017 Taiko Beginner Class! Start 2017 off with learning Japanese drumming with Kishin Daiko! Our class for beginners will be starting January 2, 2017. This 8-week course will be open to all ages 7 and up, so pass the word along to your friends and family. The first lesson is FREE with no obligation to continue, so come check it out at no cost! Cost: The fee is $80 if you choose to take the course, and we’re offering a family plan rate!